What is the first thing that you think of? Just like you, my family is my heartbeat.﻿ When I think about my life's aspirations, to have a happy, healthy household ranks at the very top of my list. The investment in my home and those who dwell in it is the type of investment that multiplies. Somehow the hours translate into character building opportunities and the source of joy emanates through one another. To me, homemaking is building the structure in which a household can grow and flourish in a stable and strong environment. The precious souls that make up our homes depend on us to mold and shape their worlds. 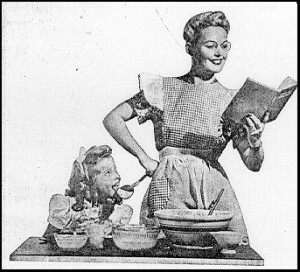 No one can ever replace the homemaker. A homemaker's value is not measured by a rate-per-hour. Do you ever wonder why? Because the homemaker is PRICELESS! A homemaker can not be hired. There is a miraculous thing that happens when a homemaker takes steps into her role. There is an ownership mechanism that takes place and it unveils a creative side in this woman that she never even saw. She is able to breath life into her home that would otherwise seem like hollow collection of 2x4's & drywall. Suddenly she discovers her love for her home and all those who visit. This love takes wings and carries us over every sleepless night and through every unanswered challenge. You are PRICELESS!